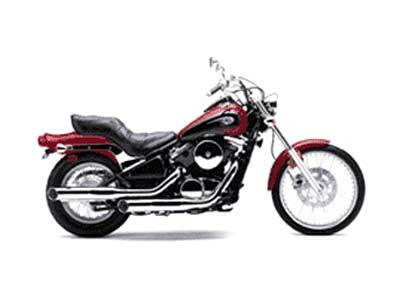 Kawasaki Vulcan(TM) cruiser motorcycles come in a wide array of styling from vaarious decades, but when you want simplicity the Vulcan 800 is it. This cruising motorcycle provides a custom look through elemental flowing lines without visual distractions. Splashes of chrome and extra detailing add key highlights, but this Vulcan's beauty lies in its simplicity, which can also be easily accessorized with a wide array of Kawasaki Fire & Steel(TM) accessories.